Can’t decide what you fancy for brekkie? Our Exante Breakfast bundle is the perfect solution. With one of everything you can create something different for your morning meal, every day of the week! 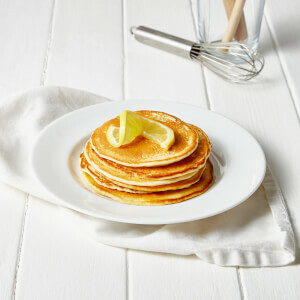 It includes our warm and hearty meal replacement porridge and our zesty and delicious lemon pancakes. 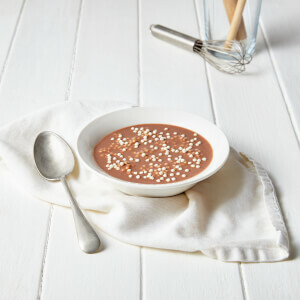 Plus, if you’re looking for something more chocolatey for breakfast (who isn’t?) then our Choco Puffs are a guilt-free way of having it! All of our breakfast meals are high in protein and fibre to keep you full throughout the day. I ordered a pack to get help me get back on to my healthy eating. The shakes are lovely and tasty noting like I was expecting. I will definitely be buying more as quite often I will miss a meal due to being busy either at home or work so the shakes are perfect and they are filling as well I can go 4 hours easy after having a shake. I am now looking at other products of the site to help with the sweet tooth I have 😁 the ebooks also are really helpful if you need help with making healthy meals I am ok on that front it's more missing meals I need to sort out as I am maintaining weight loss.